Those of us in Career Services wish all of you a relaxing and restorative break. We hope your travels are safe, and your celebrations are festive and meaningful. During the next two weeks our office will be undergoing a makeover. We will have new paint, new carpet and new furniture in our Suite 20 public spaces. We look forward to showing the office off in the new semester — stop by and see us. To expedite this work, we will be working remotely on December 22 and 23, and again on January 3 and 4. We are available via email on these days if you need us, and can schedule phone appointments as well. All the best to you all. Have a happy new year! Career Services will be undergoing some renovations during the winter break. Beyond the usual holiday closing, Career Services staff will be working remotely while the office is being refurbished. See below for the full details and we look forward to welcoming you back to a bright, fresh space in 2017! Career Services will be closed for renovations. Counselors and assistants will be actively checking e-mails and voicemails. Phone and online appointments may be scheduled for these days – please call to schedule before Wednesday, 12/21. The On Campus Recruiting office will be open with limited staff. The University of Pennsylvania is closed for the holiday break. No Career Services staff will be available during this time, though some staff may periodically check e-mail. Career Services will be closed for renovations. Counselors and assistants will be actively checking e-mails and voicemails. Phone and online appointments may be scheduled for these days, please contact your counselor to discuss availability. The On Campus Recruiting office will be open with limited staff. Extended library hours resume, open until 6pm Monday-Wednesday while classes are in session. We look forward to serving you again in 2017 and wish you a safe, relaxing and wonderful holiday break! As the fall semester winds down, we’ve had questions from many students about how the spring job or internship search may differ from the fall search. These questions come from students who may have spent the last four months actively seeking full-time or internship positions, as well as those who are just starting their search now. The good news is…. there are still plenty of opportunities out there! 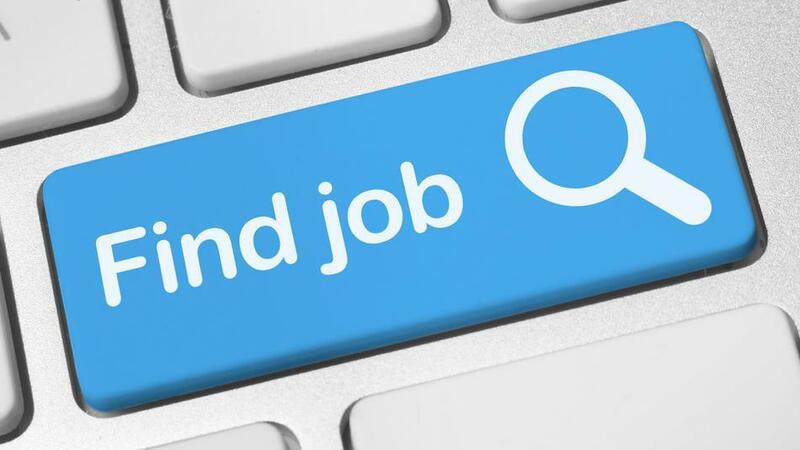 In fact, employers in many industries don’t event start actively recruiting students until much closer to when they can start work – the “just in time” job search. We’ve just finished up the analysis of outcomes for the Class of 2016, and almost half (46%) indicated that they accepted their full-time postgraduate positions in or after January 2016. We certainly welcome interested employers to conduct on-campus interviews in the spring and we will absolutely have some activity in our recruiting suite. However, the number of employers will be much smaller than in the fall. Students should be aware that employers who will be conducting interviews on campus early in the spring semester are already collecting resumes, so be sure to check PennLink now and periodically over break so that you don’t miss any opportunities that might interest you. These will also be an two additional career fairs focused on graduate students: Ph.D. & Master’s Virtual Career Fair on March 2 and the PennDesign Career Connection Day on February 17. Between on-campus recruiting, employer information sessions, and the career fairs, we will host hundreds of employers physically on Penn’s campus this spring. However, many more employers are likely to simply post jobs or internships on PennLink (or their own website) and then follow-up directly with applicants of interest to them while never setting foot on Penn’s campus. Particularly for the “just in time” search, it is important that students be proactive by researching employers that might interest them, networking to learn more about opportunities (both advertised and unadvertised), and then monitoring the career sites of employers of interest to make sure not to miss posted opportunities, as they may be open for much shorter lengths (and on a completely unpredictable timetable) than what students experienced in the fall. According to a 2012 study conducted by University of Scranton, only 8% of Americans who make New Year’s resolutions manage to keep them. I haven’t practiced this tradition for quite some time. When I did, I’m fairly certain that I forgot about my resolutions within a few months of January 1st. Perhaps there is a way to reframe this exercise in goal setting so that it is more useful. Focus on shorter term goals. Instead of focusing on what will happen this time next year, aim for what you want to accomplish in the next three months. This can cut down on overwhelm and allow for tweaking your long term goals as necessary. Express gratitude for small steps. It is tempting to wait for major milestones to celebrate progress, but practicing gratitude more regularly will stimulate your optimism and help you maintain the momentum you need. Share your goals with a friend or mentor. Indeed, there is something about telling someone else about your goal, especially if you ask them to check in with you about it later. In my experience, accountability to others has been very effective at nudging me from the path of procrastination. If you would like assistance with setting goals related to your career planning, be sure to connect with a career advisor at Career Services after a well-deserved Winter Break! Should I Be a Doctor if I Don’t Like My Science Classes? One or two times a month, an advisee will share with me their dislike of their science classes and wonder if they should continue on the path towards medical school. There is not an easy or quick answer to this question and it’s a great discussion to have with your pre-health advisor or important people in your life. First, elaborate on what it means to “not like your sciences classes.” How many classes have you taken? Is it one class or all of them? Is it only lecture classes or labs and seminars as well? Did you like science in high school? Is it that you like the material, but not the exams? Do you like the classes, but would like them a lot more if they were smaller or there was less grade pressure? Do you dislike the classes because you feel you are not doing well (and are you being too hard on yourself or are you truly struggling)? It is quite common for students to be a great fit for medicine and not like all their science classes. Some people really do not like physics or chemistry, but are genuinely excited about physiology or neuroscience. Many people dislike the high stakes exams, but adore classes that integrate projects and readings from current journals. Occasionally, students don’t like their science classes because they are conflicted about pursuing a medical career, or truly do not want it. Maybe they used to want it, or a parent wants it, or they have some other career interest tugging on them. If your heart isn’t in the long-term goal of working in healthcare, it can be very difficult to engage with the challenging scientific coursework. If you are someone who confidently feels that you don’t like science at all, then you need to reconcile this with your desire to become a doctor. Medicine is a scientific career. You will undertake demanding studies in science in medical school and devote yourself to life-long learning in the sciences. Nearly all of the students we work with who go on to medical school demonstrate enthusiasm for science. It may be that there is another career that will encompass the aspects of medicine that attract you, but without the significant amount of scientific training. As always, you can make an appointment with a pre-health advisor to talk through this question by calling 215.898.1789.